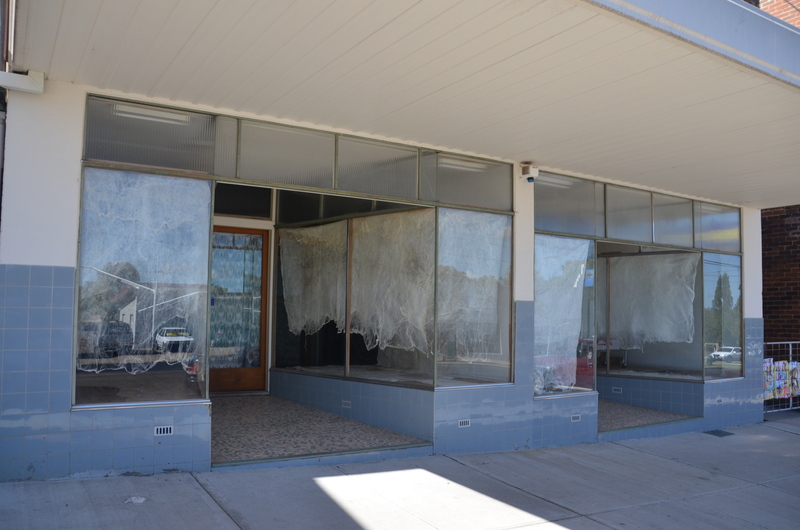 In the four windows of the former haberdashery shop now operating as Kandos Art projects sits the installation Blood on Silk: Kandos. This sparse and elegant work in a small Australian country town is the fourth in the Blood on Silk series. 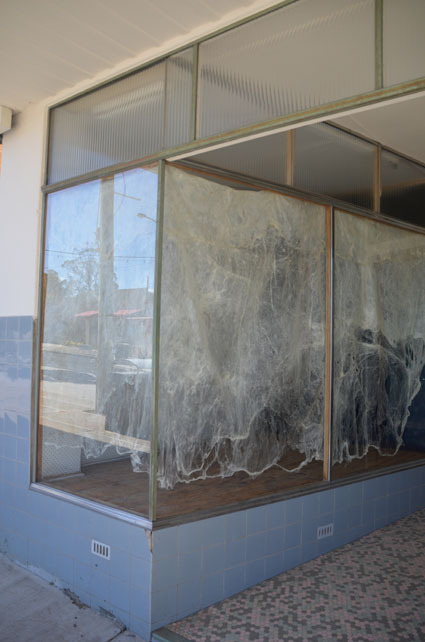 The veils of silk paper work to define and yet conceal the fine architectural structure of the shop front. What is often not observed – the metal bars framing the windows, the small blue tiles of the walls and the multi-coloured tiles of the walkways – were brought to the fore by partially obscuring the clear glass in the windows. The fragments of reflections of the street also work to layer the experience of disorientation from the architecture of the space. Through the reflection of the viewer and the street behind it is possible to see a hospital trolley with a backlit retail light box displaying blood stains in one of the four glass bays. Blood on Silk continues to examine the pairing of the seemingly unrelated.